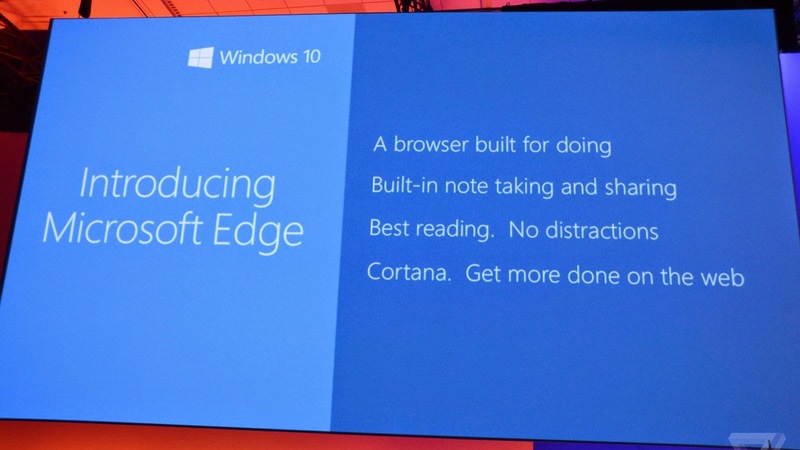 Microsoft has just announced that the official name for its new browser for the windows 10 is Microsoft edge. The New Microsoft edge will replace the internet explorer and it will be shipped out with Windows 10 when it launches later this year. The Edge browser comes with built-in note taking and sharing, a reading pane for no distractions and integration with Cortana. It includes a new web engine and is built on the Universal App Platform and offers a better integrated with the overall Windows 10 experience. Microsoft also said that popular extensions for the Chrome and Firefox browsers will also come to Edge with just a few modification. If you want to get a feel of the new browser, just upgrade to the latest build of the windows 10 technical preview.